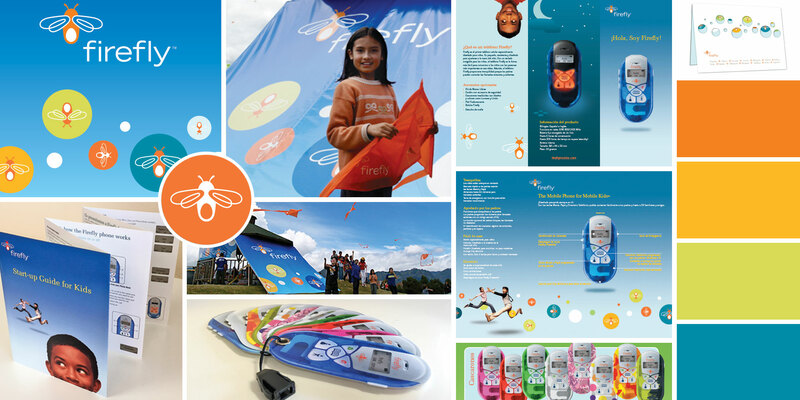 The Firefly phone was a wireless phone designed for kids. It was easy to use, had many designer options and accessories for kids to display their own unique style. The phone featured parental control options to limit incoming and outgoing calls to the numbers in the phone book. We joined Firefly Mobile in 2005 as a member of the Latin America Launch Team. Throughout our 2-year contract we worked on so many fun projects! In addition to assisting team members with marketing collateral, we also collaborated with translators, worked with foreign vendors, and developed materials for tradeshows & events.